Two truly out-of-the-ordinary events happened in Phoenix recently. It rained, not a soft rain, but a sudden midday drenching. 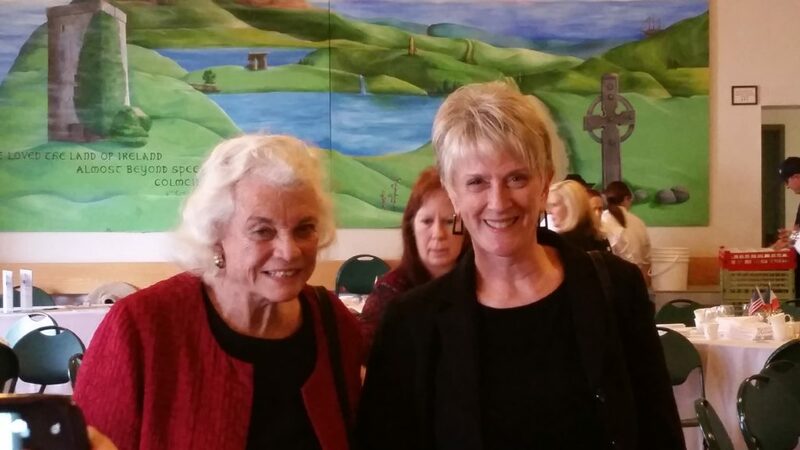 But much more memorable than the unexpected downpour, I got to meet retired Justice Sandra Day O’Connor, the first female justice in the 191-year history of the U.S. Supreme Court! 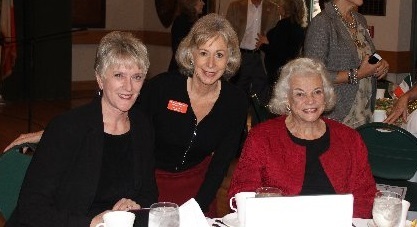 What a treat and thrill it was to attend an Arizona YWCA Women’s Empowerment Series event with two outstanding guests—Justice O’Connor and Justice Ruth V. McGregor, who served on the Arizona Supreme Court from 1998 until 2009 and was the second female Chief Justice in Arizona’s history. Justice McGregor handled the duty of chief questioner at this special luncheon in downtown Phoenix’s Irish Cultural Center. Their beautiful McClelland Library is currently housing an extraordinary exhibit of O’Connor’s photos, ranch artifacts and documents, even a robe like one she would have worn during judicial duties. 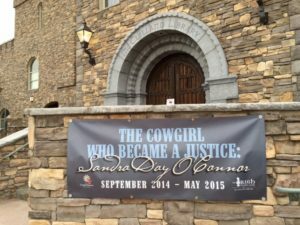 Entitled “The Cowgirl Who Became a Justice: Sandra Day O’Connor,” this collection connects her early years being raised on a 200,000 acre ranch bordering Arizona and New Mexico to her days on the Court in Washington. Everything from her retirement letter dated July 1, 2005 to a branding iron with the letter B is on display–a treasure trove of fascinating items. A video of the confirmation hearing in September, 1981, plays in the background where you can see her interrogated by the committee. One volunteer at the library said that he couldn’t believe how tough they were during the questioning although the vote by the Senate to confirm her turned out to be a unanimous 99-0. 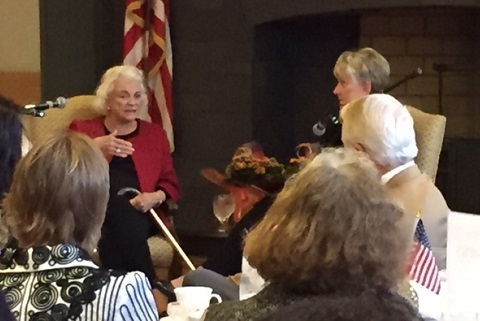 We take our female justices a bit more for granted now, but hearing Justice O’Connor reminisce with Justice McGregor brought back the era when a woman on the Supreme Court seemed an impossibility. These two friends, who have known each other for more than 40 years, shared memories of the tough days dealing with the pressures of living in the fishbowl created by that monumental announcement. Justice O’Connor learned of her nomination in the summer of 1981 when, while working at the state capital in Phoenix, she was told that the White House was calling. “I was amazed that a cowgirl from where I grew up would even be considered,” she said. McGregor remembered hearing the news of President Reagan’s choice on the radio. She couldn’t wait to learn who the nominee was and was overwhelmed when it turned out to be her friend. “I started crying; it makes me cry even now,” she said. At the time she thought about what a huge difference the appointment would make in America, especially in the lives of women. Taking the Justice through her early years, McGregor asked about her days growing up on the Lazy B Ranch, where water was at a premium and two huge windmills, with fans 20 feet in diameter, were a lifeline. O’Connor remembered how she loved being isolated on the huge spread of land, the endless pumping of water and the sounds of the windmills turning. It was tough going to school in such a remote location so she ended up attending Miss Bradford’s School for Girls in El Paso, Texas. One indelible memory was seeing Eleanor Roosevelt arriving at her school one day. She recalled putting on her best clothes and not telling her parents about it. Her dad, she said, would have yanked her out of Miss Bradford’s because he felt that the Roosevelts were the worst people ever. She will never forget watching Mrs. Roosevelt get out of a long black car. Judge MacGregor added that young girls now have that same feeling when they see Justice O’Connor. Asked why she chose the legal profession, she said she was always interested in why things were the way they were and thought that the legal system was responsible for most of it. She graduated from high school at 16 and from Stanford Law School at 22 in the top of her class. Anxious to be employed, she took unpaid work in the hopes of finding a position that paid a salary. She was thrilled to finally get a job as Deputy County Attorney in Redwood City, California, where she remembered being happy sharing office space with a secretary. Despite her many outstanding achievements, she recalled the tremendous pressure of rising to the level of the first woman appointed to the Supreme Court. She was frightened during the first year that it might be the end of women in the court if she didn’t do her job well and did not want to set things back. She and McGregor, who was her law clerk then, remembered the basketfuls of letters they received, up to 5,000 a month and more than any other justice in history. With little staff, they couldn’t deal with them all. When asked how she looked back on those days, the Justice replied, “I don’t want to look back too hard.” Being surrounded by press who were looking through her windows and wanting to know the food that she ate was not pleasant. What does keep her busy is the O’Connor House, an adobe home she lived in with her family for 25 years, which was disassembled and moved to a park on the Arizona Historical Society Museum campus in Tempe, Arizona. Its mission is to be a center that brings together groups with divergent views for problem-solving. With pride she mentioned another great passion of hers, iCivics, a program she founded to prepare the next generation to be engaged citizens. 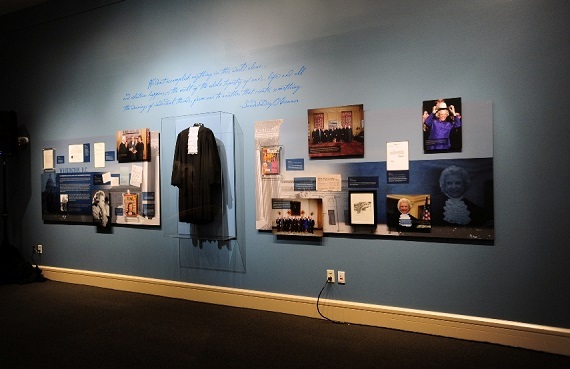 This special guest, once deemed the most powerful woman in America, left the event to view the Phoenix exhibit for the first time. 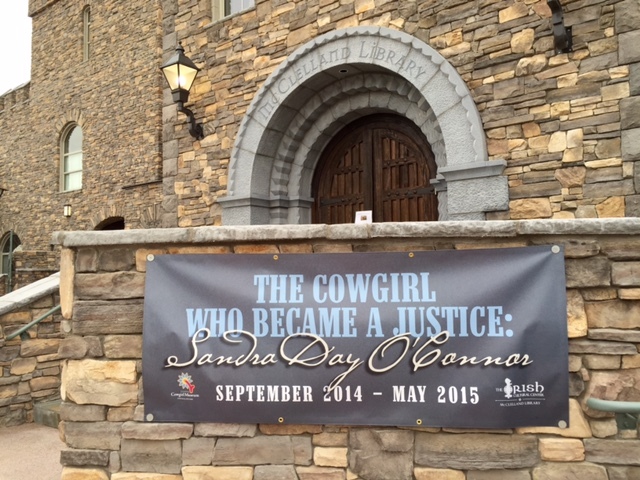 One woman echoed the feeling of those in attendance as the Justice headed towards the McClelland Libary next door. “I could have stood and applauded at everything,” she said. 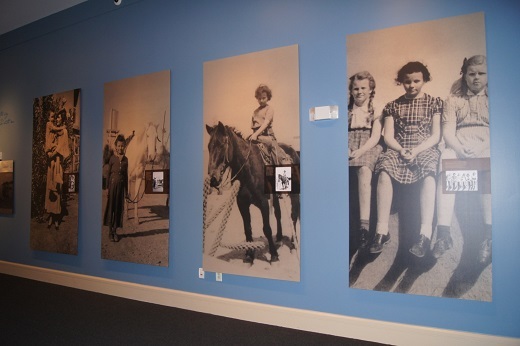 Kudos to the YWCA AZ for putting on this program and to the National Cowgirl Museum and Hall of Fame, Fort Worth, Texas and Diana Vela who organized the exhibit. It will be in Phoenix until May 23, 2015, then return to its home in Fort Worth, Texas.